One of the biggest things you can do to make your home seem cleaner overall is to make sure it smells fresh! 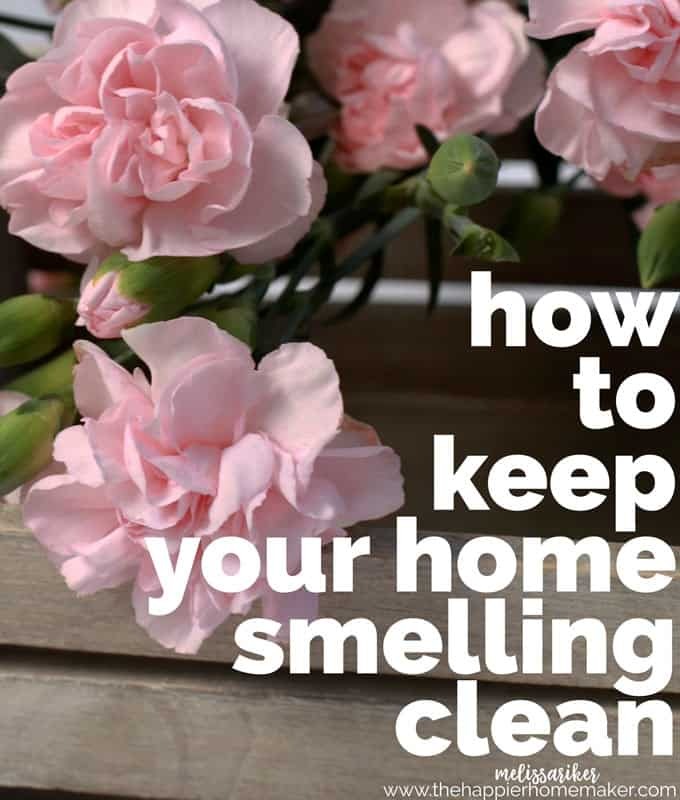 It can be hard sometimes to tell whether your home has lingering smells because you spend so much time there. In college I interned in the big cat section of a zoo and I can tell you it smelled awful my first day but a few weeks into my internship I didn’t even notice the smell. Imagine if you had lingering bad smells in your home-you might not even realize it! Here are 5 easy ways to freshen up your home and keep it smelling clean! Whenever our weather is nice I try to open up the windows in the house at least for a short time to let the air circulate. 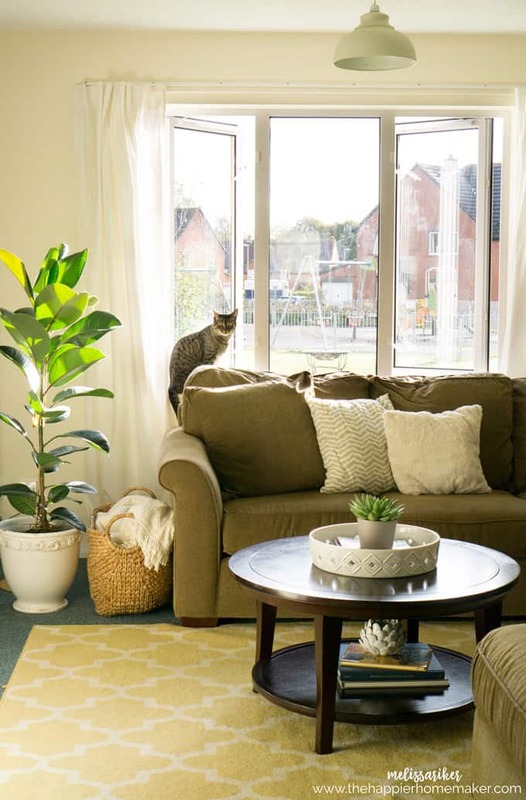 Did you know you can have more air pollutants inside your home that outside? Open those windows up and let the fresh air in! Keeping plants that filter the air is another way to keep the air in your home clean. Rubber plants, Boston ferns, palms, ivy, and peace lilies are all very common houseplants that filter toxins out of the air. Stinky trashcans are the worst! 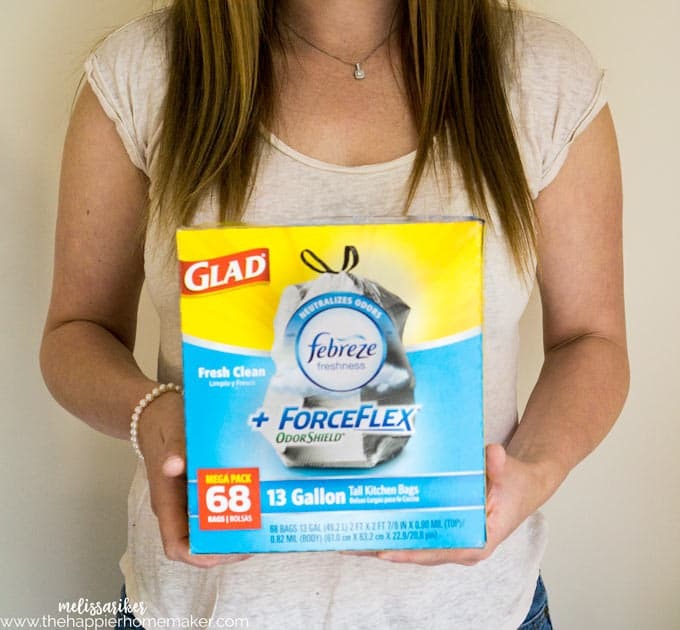 Switch to an odor controlling trash bag-I use Glad OdorShield trash bags with Febreeze. 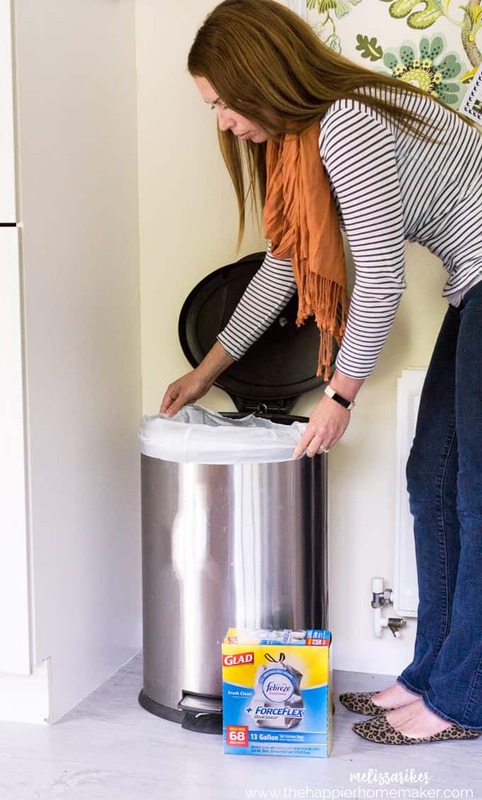 They neutralize odors for up to 5 days to keep trash smells under control. We recently threw away salmon leftovers and despite the bag sitting for days in the kitchen it controlled the smell-that’s impressive! Plus they have stretchable strength that means no tears and messes when it’s time to take the trash out! My favorite way to scent my home is a simmer pot. 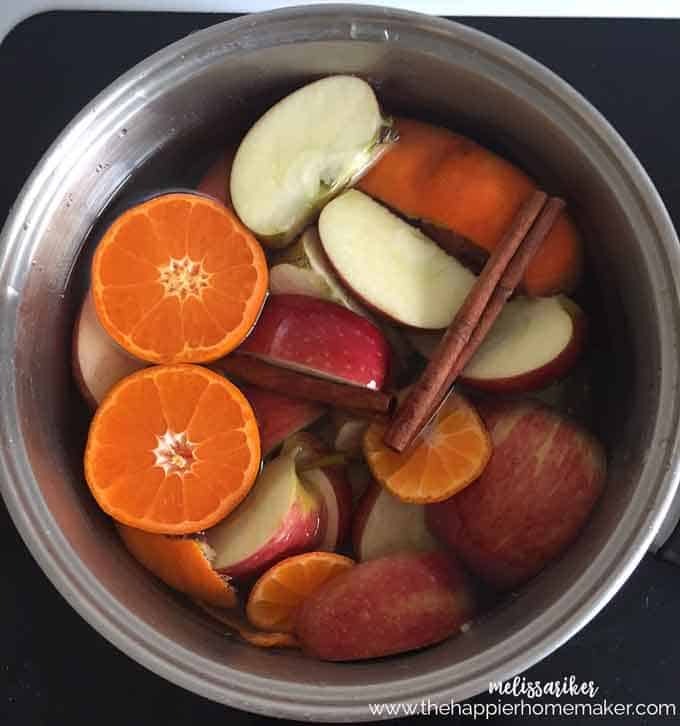 Simply chop up some fruit-apples, oranges, and lemons are my favorite-and toss in a water filled saucepan. Add cinnamon, ginger or other spices if you like. Heat over low heat and simmer, refilling the water as needed. You entire home will smell heavenly! Using an air filter with a HEPA filter not only keeps your home smelling fresh but is a must for families with severe allergies or asthma. Look for a filter with activated carbon for the best odor control.